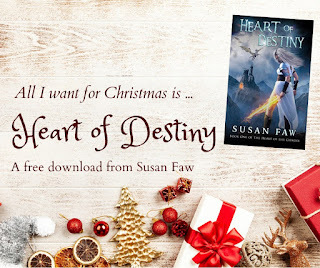 Our tenth and final book in the 10 Days of Christmas Giveaway is Heart of Destiny by Susan Faw. Kidnapped by dragons, ten young women devise plans to bring down a magical barrier before an evil emperor can stop them. The fight for freedom and the ultimate control of all magic has begun. Love dragons, genies, and heroic women? Then grab this series starter for free! 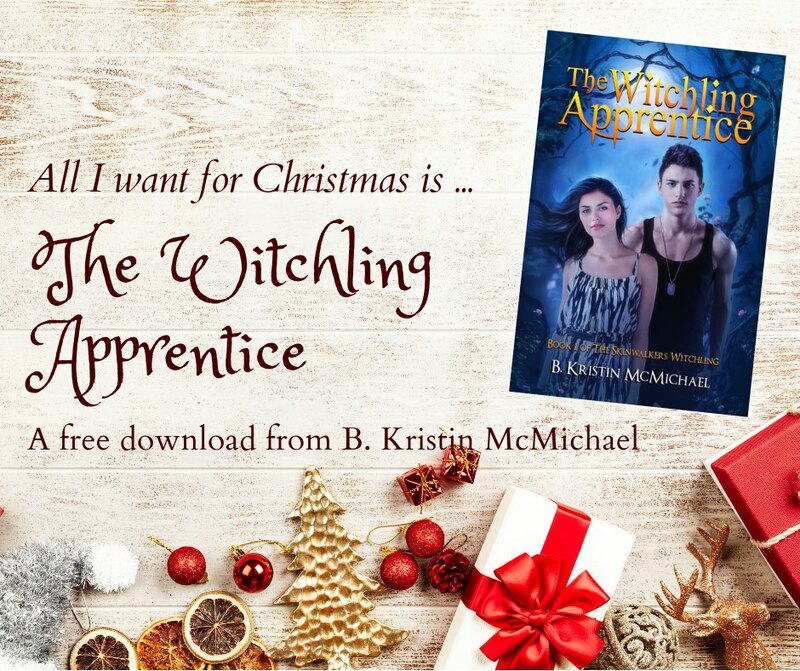 Get your free ebook download here and thank you for joining us for our special holiday giveaway! Did you find any new favorite books during these last ten days? If so, share which ones in a comment below. Our ninth book in the 10 Days of Christmas Giveaway is The Witchling Apprentice by B. Kristin McMichael. Get your free ebook download here and be sure to come back tomorrow for our Day 10 book giveaway. 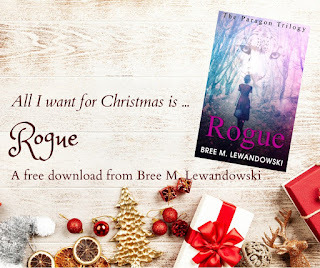 Our eighth book in the 10 Days of Christmas Giveaway is Rogue by Bree M. Lewandowski. War was imminent. It was only a matter of time before it reached her lands. The Rubiconds were marching to attack Meridionalis which would only end in a battle of bloodshed and lives lost, but after receiving a letter from the father she had never known, Abra Arendel sets off on a quest to meet the only parent she has left. While on her journey, an unfortunate incident leaves her fatally wounded and left for dead. Regaining consciousness, she finds herself in a bathhouse where she meets a charismatic smuggler named Saya. Needing to blend in among the wealthy to sell ill-gotten gains, Saya proposes a scheme for he and Abra that will benefit them both. But the plan goes sour when passions ignite and vengeance rears its beautiful head. Desperate to reverse a spell cast on him suddenly, Saya reaches out to Kohl, the one person in the Court of the Rising Sun that he knew could help. Tensions are high and so are the stakes in this fantastic tale of love, loyalty, and fate. The saga continues with Rogue! Get your free ebook download here and be sure to come back tomorrow for our Day 9 book giveaway. Our seventh book in the 10 Days of Christmas Giveaway is Trailer, Get Your Kicks by Karen Musser Nortman. Lynne McBriar swore her vintage trailer would stay in a museum where it would be safe from further time travel. But when a museum in Texas wants to borrow it, she determines that she must deliver it herself. 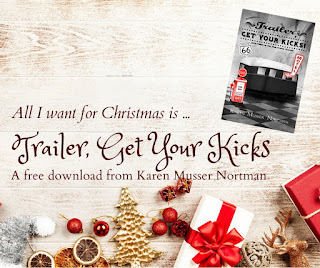 Her husband Kurt convinces her to take it along Route 66 for research he is doing. What starts out as a family vacation soon turns deadly. Travel can be dangerous any time, but when your trip involves the Time Travel Trailer, who knows where (or when) you will end up? The family encounters early restaurants and motels along the Mother Road and even runs into a little romance. Get your free ebook download here and be sure to come back tomorrow for our Day 8 book giveaway. Our sixth book in the 10 Days of Christmas Giveaway is Ærenden: The Child Returns by Kristen Taber. Wait, what? Mine? Yup, mine. 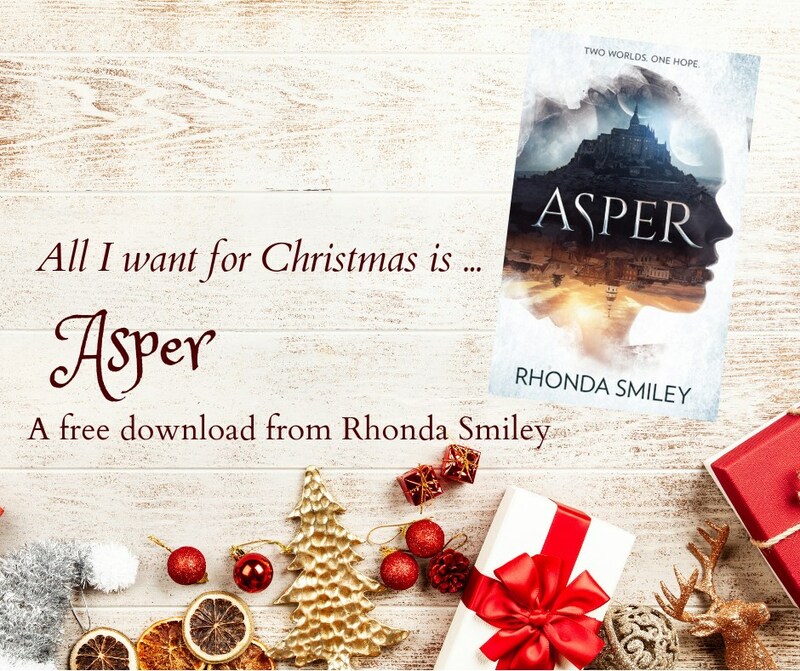 You didn't really think I'd let the holidays go by without giving you a chance to nab the first book in my award-winning and highly-rated series for free did you? What type of friend would that make me? Geez. If you've already read it, remember that you can tell friends about the freebie (or gift books; it is the holidays, after all). And for those of you who haven't read the book yet, the blurb is below. Murder. Monsters. Magic. To Meaghan, these words belong in newspaper articles and children's stories, not her carefully planned life. Until the day she and her friend Nick witness her parents' brutal demise at the hands of red-eyed creatures. They flee into the wilderness where Nick tells her the creatures, known as Mardróch, came from another world to kill her. He gives her a choice—face the Mardróch alone or escape through a portal into a distant kingdom. It isn't much of a choice. 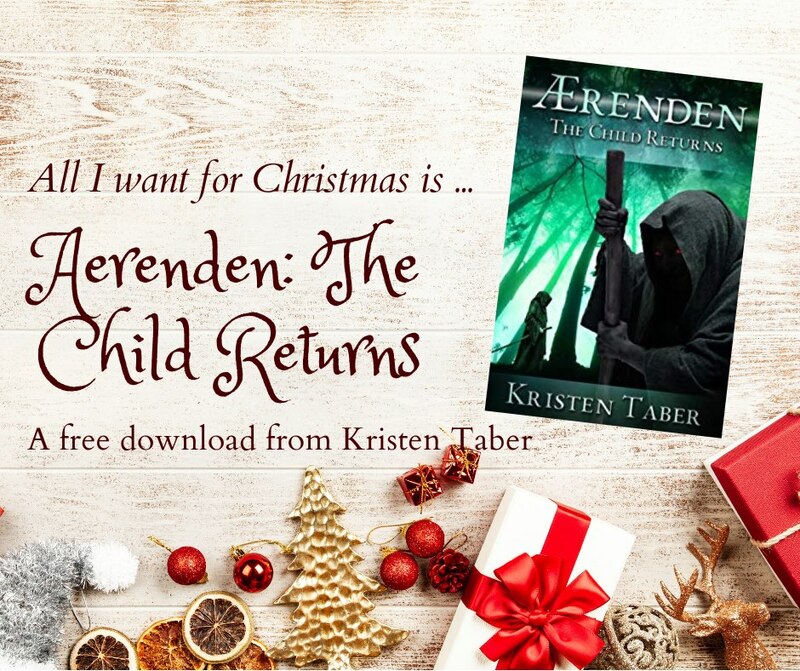 Ærenden is a land more beautiful and sinister than Meaghan could have imagined. Vines attack. Monkeys freeze their victims with a glare. Soldiers create bombs from the air. Even Meaghan's newly discovered empath power turns into a danger she cannot control. But control becomes the least of her worries when she learns the truth behind the kingdom's fifteen-year civil war—a long-buried secret that could cost Meaghan her life. Be sure to grab your copy here before it disappears and come back tomorrow for our Day 8 book giveaway. Our fifth book in the 10 Days of Christmas Giveaway is Asper by Rhonda Smiley. 16-year-old Milla loses everything in an instant—her family, her home, her life as she knows it—over a sacred scroll that can merge her realm of Asper with Earth. Ignited by grief, she sets out for vengeance but quickly discovers she’s no match for the murderous queen who has usurped the power of sorcerers before her. A queen who will stop at nothing to rule both worlds. Undeterred, Milla takes a forgotten portal to Earth so she can master her craft without being hunted, and return for the kill. While there, she bonds with 17-year-old Parker who believes in her and her unfathomable stories when no one else does. But when a spell her father cast to bury her memories begins to wane, Milla glimpses into a past she doesn’t recognize. A past so unthinkable, it derails her future. Secrets and lies, love and hate, friends and foes—the lines are blurred, and she’s left questioning everything. What is right? Or wrong? Good? Or evil? And more importantly, what is she? Get your free ebook download here and be sure to come back tomorrow for our Day 6 book giveaway.